American retailer, The Kroger Co, has partnered with Microsoft to jointly bring to market a retail-as-a-service (RaaS) offering powered by the Azure platform, with Asian in line to benefit. A connected store experience is also planned as part of this partnership, with the vendor leveraging its artificial intelligence (AI) expertise to provide an enhanced customer experience. "Kroger, the world’s third-largest retailer, is embracing next-level digital strategies to redefine shopping experiences and provide personalised services, leveraging the power of Azure and Azure AI,” said Raj Raguneethan, lead of Asia Retail and Consumer Industries at Microsoft. “We believe it is time for industry players in Asia to accelerate their digital transformation journeys. 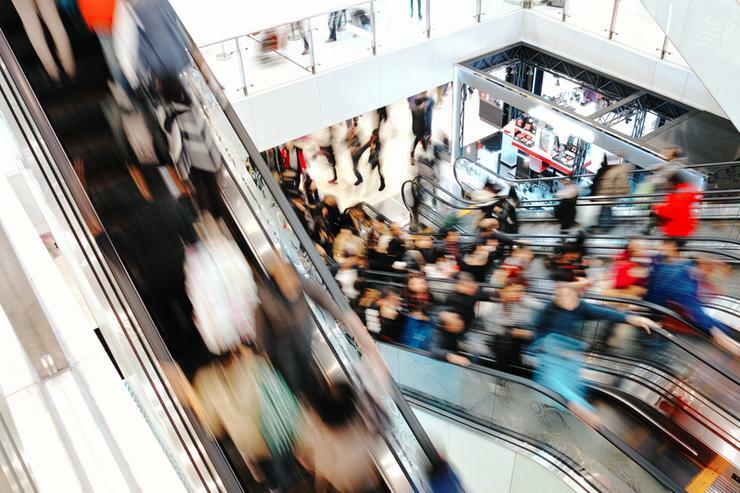 “While 64 per cent of Asia Pacific retailers have a full or progressing digital transformation strategy in place, they must move more aggressively towards an Intelligent Retail approach, where customer-centricity and new omnichannel experiences are keys to success." The RaaS solution offers a suite of capabilities to support KPIs and merchandising plans, collect customer insights, enhance employee productivity, improve out-of-stocks, better the customer experience, and allow for hyper personalisation using proprietary technology. As enablement software, the RaaS solution is designed to support modern retail experiences and harmonise customers’ digital and physical shopping experiences. Future commercial products include: scan, gag, go; virtual store manager; sensor network; and connectors to corporate systems like point-of-sale, inventory management, as well as tag and merchandising systems. The team behind this solution has developed a smart technology system, powered by Microsoft Azure and connected by IoT sensors, to transform two pilot stores before a wider rollout. These stores will will leverage the RaaS solution, establishing a way to quickly add innovations to create new customer experiences, enable higher levels of personalisation through insights, and enhance store associate productivity. “We see the opportunities for the region’s retailers to zoom into four key areas to build a customer-centric operation for the future,” said Raguneethan. “First, they must exceed customers’ expectations both in-store and online. “Second, they need to start creating actionable insights for intelligent operations to deliver customer-first offerings. In order to do so, retailers need to empower employees to deliver in a digital and data-first retail environment with the right tools. “Lastly, they need to acknowledge the competition by competing with innovation in a global marketplace." According to Microsoft Asia’s ‘unlocking the economic impact of digital transformation in Asia Pacific’ study, retail industry is expected to add US$272 billion to the region’s GDP, or 1.5 per cent CAGR by 2021, should organisations embrace digital transformation initiatives. And of the 240 business leaders from the retail industry who were polled, half of them will focus on transforming customer service and support as part of their digital transformation journey to deliver customer-centric offerings. Top business priorities included improving business agility to respond quickly to market trends and opportunities; employee productivity, along with integrating digital channels to deliver omnichannel experiences. To address the latter, respondents will also focus on sales and IT operations for the year. In addition, respondents identified improvements to profit margins; revenue from new products and services; customer advocacy; productivity and revenue from existing products and services as a result from their digital transformation initiatives. Part of the reason why retailers like Kroger have been able to reap immediate benefits from their digital transformation journey is the realisation of data as a key asset for growth. Close to 50 per cent of respondents from the survey are already using data capitalisation, or how data is being leveraged as an operational asset, as a metric to measure digital transformation success. Additional metrics tracked for their respective digital transformation journeys include non-traditional business KPIs such as customer advocacy and process/service effectiveness. With data, organisations can accelerate their digital transformation journey via a three-step process, which includes collection of data to improve decision-making processes; optimising existing products and services with data; and creating new business models with data. Data can also be used to develop new products, services and experiences, as well as new business models, like RaaS product by Kroger. In Kroger’s case, its RaaS offering will also see a pick-to-light productivity solution for store associates. The solution reduces time taken to fulfil curbside pick-up orders by using visual cues to help store associates quickly find items. Additionally, solutions like Microsoft Azure-powered video analytics will help store associates identify and address out-of-stocks to ensure customers can locate products on their shopping list. “Through 2021, retailers that leverage AI, AR, and IoT for employee and customer engagement will see customer satisfaction scores rise by up to 20 per cent, employee productivity rise by up to 15 per cent, and inventory turns rise by up to 25 per cent,” added Victor Lim, vice president of Asia Pacific at IDC. “This will be the result of building upon existing and new data streams to transform their business models, whereby employees are more empowered to make real-time decisions, and customers more engaged on a digital front." The Microsoft study polled 1,560 respondents in 15 APAC markets, including Australia, China, Hong Kong, Indonesia, India, Japan, Korea, Malaysia, New Zealand, Philippines, Singapore, Sri Lanka, Taiwan, Thailand, and Vietnam - 240 respondents came from the retail industry.